Transform hours of Loan Servicing into minutes. Save time. Avoid errors. The most trusted Interest-Calculation Solution for Law professionals. 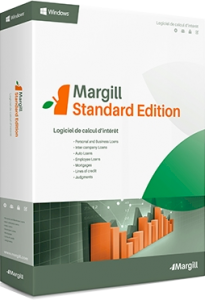 The Global Standard for simple and complex Interest Calculations, Amortization, etc. 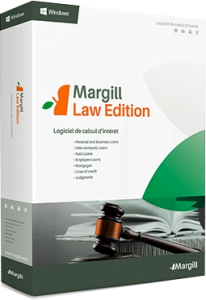 Margill products are used in 38 countries by thousands of professionals and organizations, including the prestigious U.S. Securities and Exchange Commission, the Department of Justice Canada, Deloitte, SBA Bank, and Manulife Financial. 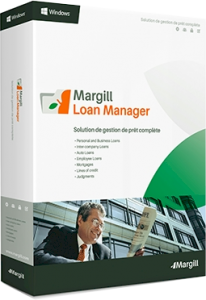 Margill products are the choice of public and private compagnies, regulatory agencies, banks, and governments because of its mathematical superiority: complex APR, irregular payments, special refund methods, etc. I want to tell you that Margill has made our lives much easier here since we installed it. It has cut down the time it takes to perform my month end accounting procedures greatly!!! Margill works like a charm. It does our calculations perfectly while always keeping an eye on its table updates. When we did have questions about it, the support team was efficient and devoted to help us promptly.